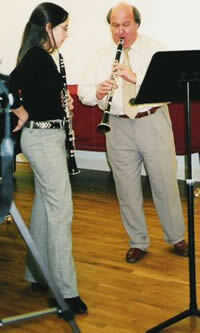 Whilst studying at the Royal College of Music Leslie’s former student Hannah Morgan won the Selmer Clarinet Prize. 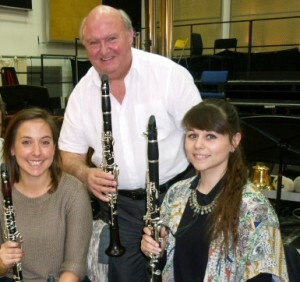 Leslie with two of his most successful and accomplished former students : Hannah Morgan and Jennie Porton are now well established as two of the finest professional clarinettists and saxophonists in the U.K.
Jennie and Hannah studied with Leslie from the age of nine and now play regularly with the major orchestras of the U.K. They both use Leslie’s mouthpieces and Silverstein ligatures. 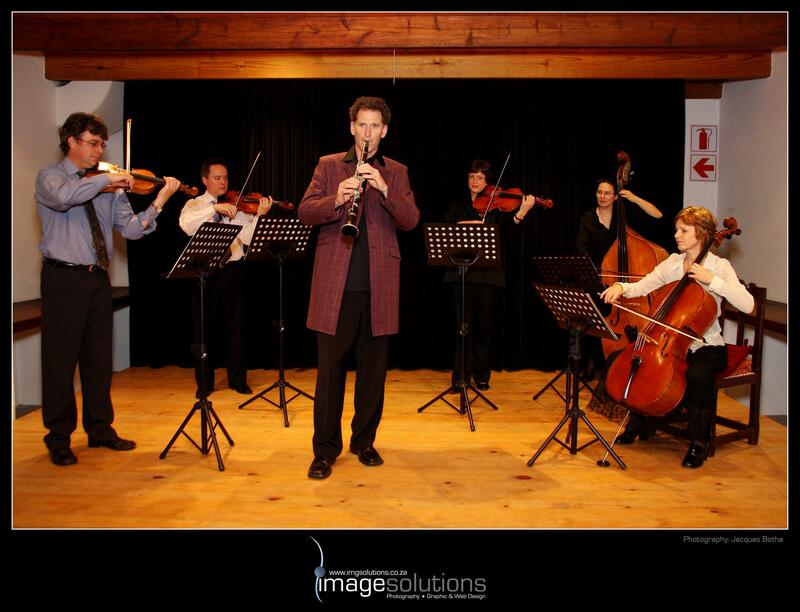 Leslie currently teaches at the Royal Welsh College of Music and at the School of Music, University of Cardiff. His former students include many major prize winners ; Matthew Reid the winner of a major international prize in South Africa, the “Sasol Prize” (worth approximately ten thousand pounds), also, winners of the “Normans Musical Instruments” Woodwind Prize at the R.W.C.M.D (two years in succession) and the winner of the Walker prize (Jennie Porton who also recorded the highest mark for any instrument for her masters degree whilst studying with Leslie). 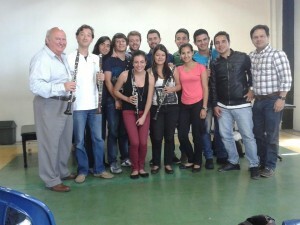 His students have won places in The National Youth Orchestra of Great Britain, N.Y.O. of Wales, National Children’s Orchestra and numerous music scholarships to illustrious “public” schools such as Eton, Winchester and Oxford and Cambridge Universities. Leslie has examined at all levels and gives consultation lessons to all standards including professionals from all over the world who seek his advice for audition preparation. 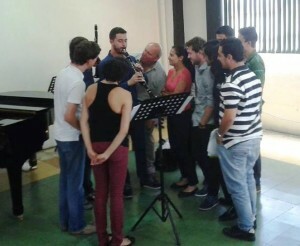 NEW : MASTER CLASS WEEKENDS: To register interest for individual consultation lessons or master class weekends with Leslie in his studio at home (limited to four players per weekend) https://www.lesliecraven.co.uk/clarinet-weekends or alternatively – please contact him via contact page. 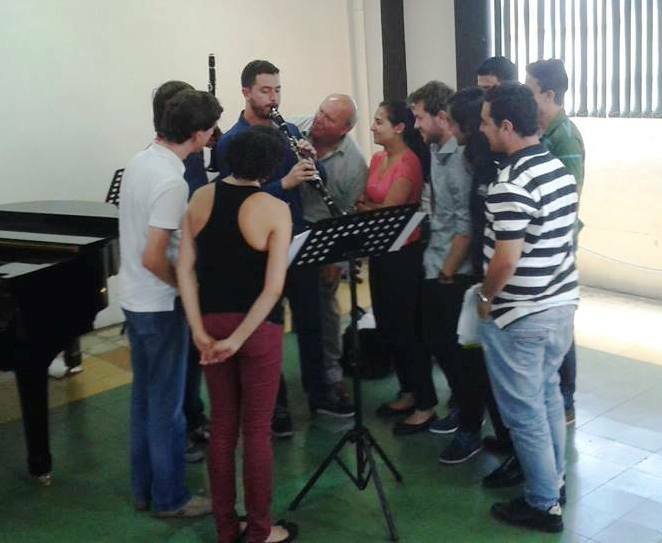 (below) Leslie having a fun moment with some talented Colombian clarinettists during a master class at the University of Caldas – Manizales – Colombia. Useful information can be found in the articles and teaching sect ions of resources.